Parents are always sensitive when shopping for baby items. Babies are tender and require the best care as they come through various stages of growth and development. 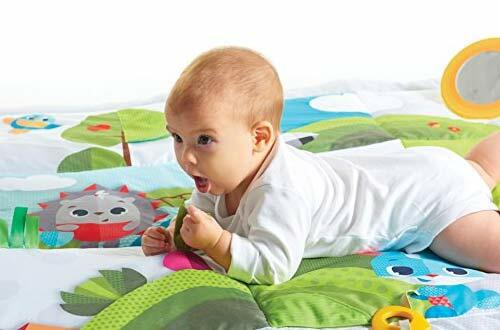 One item that should top your list when it comes to your baby items is a play mat. Baby play mats provide a stimulating place for the little ones to play and have fun to the fullest giving mum and dad a much-needed break. 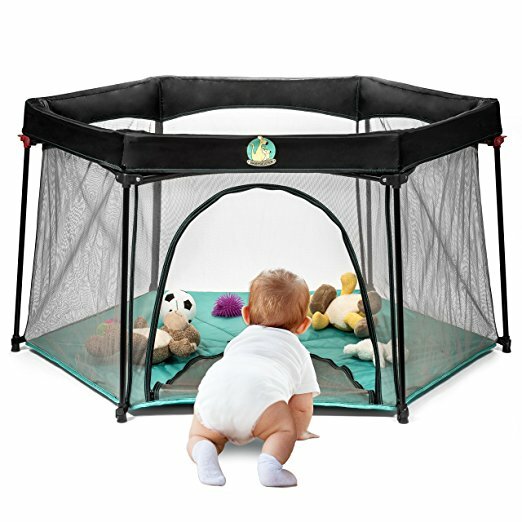 Your baby will connect better with the surroundings as they discover the world around them when on their play mats. 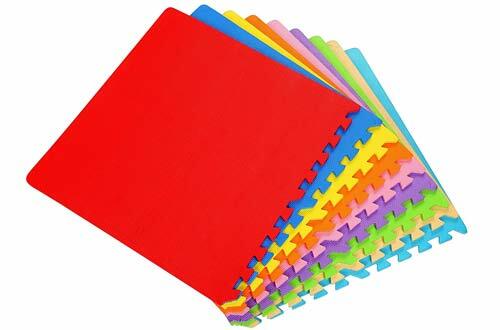 This is a high-quality kid’s mat made in the USA with EVA foam interlocking tiles. This is not just any ordinary mat but a play mat and activity gym that will challenge and grow the little one’s mind. There are a total of 36 tiles with each measuring 12” x 12” x 0.4” giving babies a total surface area of 36 square feet. These mats are non-toxic and have been tested free of BPA’s, phthalate and lead metals. They meet all the safety and regulatory standards set in the United States and quite easy to clean. You will enjoy making the 54 multi-color boarders. 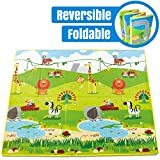 Hape is a colorful baby play mat featuring a jungle setting on one side and a railway scene on the other side to introduce your kid’s to the world. This is an ideal mat for tummy time. It is made of a durable and lasting material that will rarely wear or tear. The mat is made of non-toxic PE foam that is free of lead and BPA. The wonderful imagination on the mat will spark curiosity on your baby and aid in the learning process. 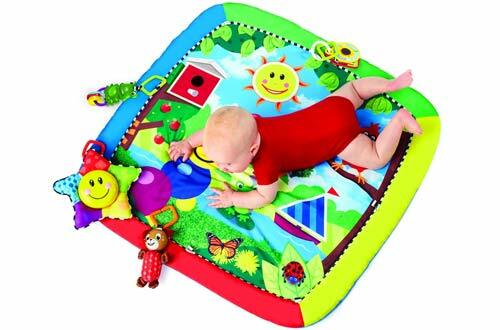 This is an ideal baby play mat for babies three months and above. This is another educational piece with 36 pieces of interlocking tiles. Each piece of the tiles has numbers and letters that aid in the learning process of your baby. There are also 24 border pieces. It is a quality mat made of the EVA foam 10mm thick and a total surface area of 36 square feet. The mat is soft, durable and safe for the babies. 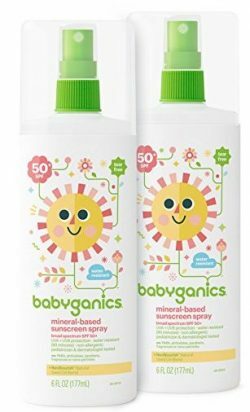 Overall, it is easy to use and clean and remains the recommended choice for kids three ages and above. This is an exceptional baby play mat featuring a city with various amenities. It is a great way for your baby to play and learn about the world. 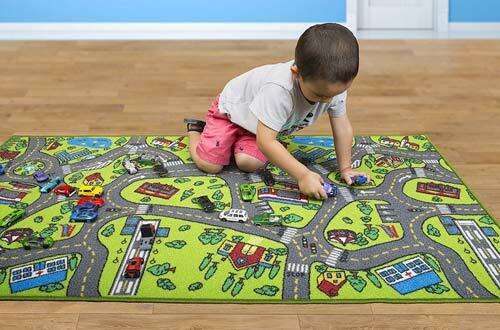 The rug features a school, airport, hospital and a lot more introducing your kids to the world out there. 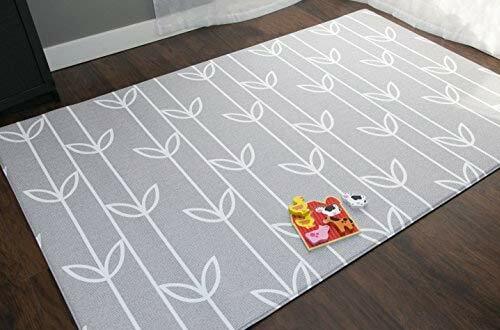 It is a largely sized mat measuring 60” x 32” which is enough space for the baby to play and explore. The mat is extra thick with non-skid latex back that ensures it remains stationary. Storage is also quite easy as the mat rolls up easily. 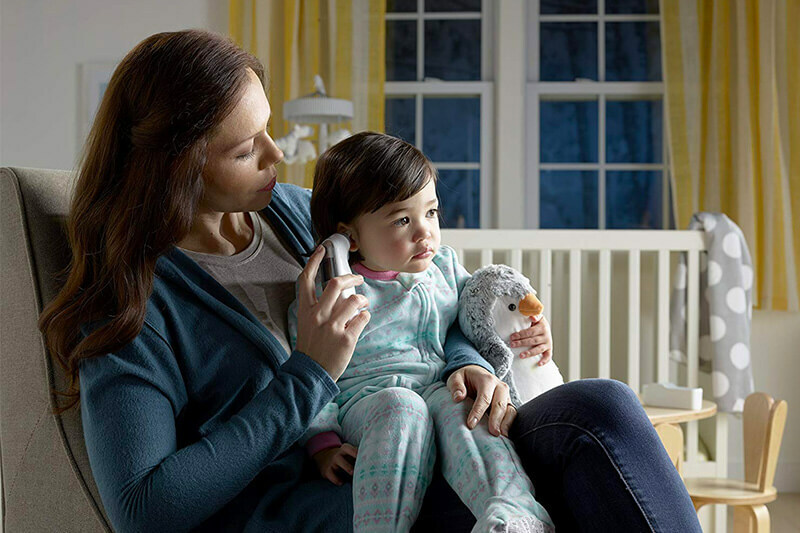 Baby Einstein is not just a mat but a play gym with everything your kids need to play. The mat has a play gym with amazing star-shaped toys and good melodies to keep the baby entertained as parents perform other chores. It is a durable mat made of polyester and a sewn in mat loops. There are a further eight Einstein links to add more toys. Overall, the mat is machine washable making maintenance pretty simple. 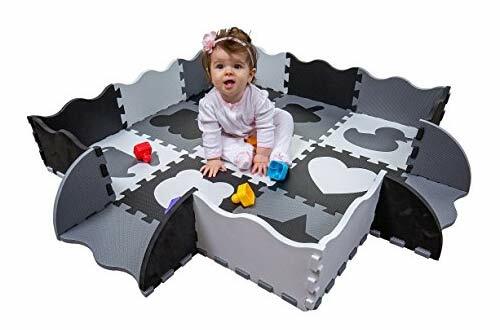 This is probably the best baby play mat on the market currently with some of the best reviews. 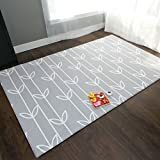 It is a large mat in the size of a queen mattress and a great addition to any home with a small kid. It is a one-piece mat that does not give you the hassle of joining pieces. The mat has some of the best innovative cushioning such that an egg dropped from ten feet would not break. It is waterproof and reversible with two sides for interior use and learning. 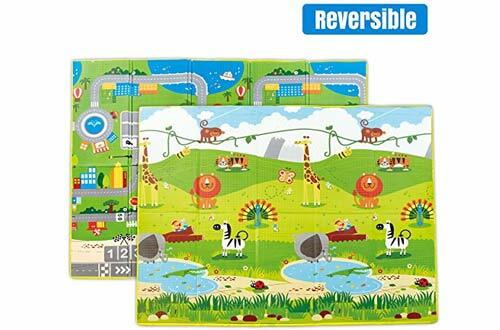 This mat has been tested to European toy standard and found to be free of latex, BPA, phthalate, and formaldehyde. This is a polyester play mat and activity gym for babies made in the USA to the highest standards. 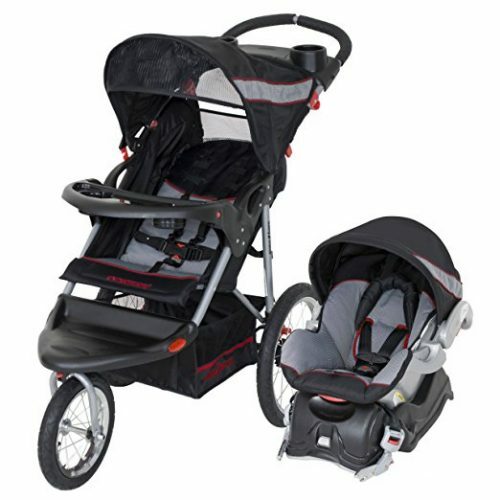 It is a top-quality product that can keep the babies comfortable and entertained. The mat and activity gym fold compactly for travel or storage in two simple steps. 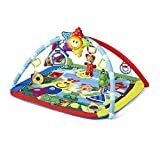 Some of the great features of this activity gym include a plush prop up pillow ideal for good tummy time and linkable toys to keep the baby entertained. With a 3ft by 3ft fence up and a 4ft by 4ft flat size, the Wee Giggles is one of the best baby play mats for homes with compact spaces. The fence gives your baby a protected area to enjoy some tummy time without getting outside. A thick foam 0.5-inch further ensures your baby is protected from falls. This ideal cushioning protects your baby from the carpet dust and dirt. The collapsible edges of the mat are ideal for keeping ball and toys. There are no small puzzles that can choke your baby. This is a safe and non-toxic mat that has been tested to meet the CPSIA standards. Overall, this is a versatile design that can be laid flat or placed with borders. 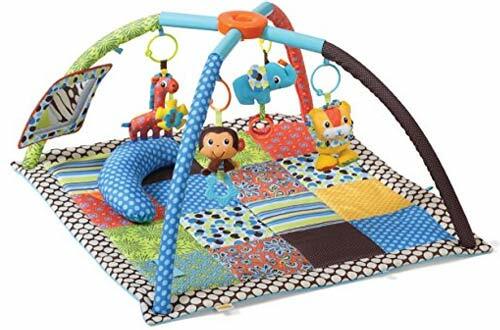 This is an extra-large baby play mats that comes with a featured playground for fun activities. The entire mat is constructed of plush padding that will keep the baby comfortable at all times. 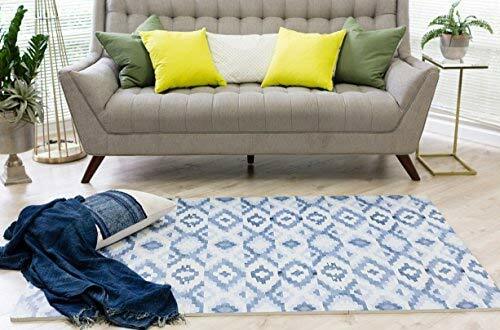 It is a fun mat to use at home or on the go. It folds up quickly to store or carry. You can easily take it with you anywhere you go whether on the beach or park. The fun features on this mat can help in the motor development and facial recognition. 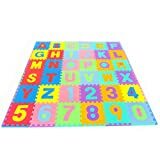 This is a modern design baby play mat and a good match for any room in your home. 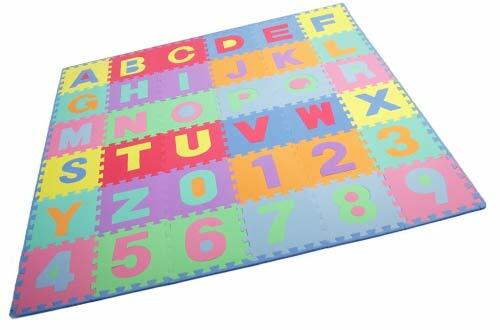 The mat has a fun puzzle that will match your home décor and give the baby entertaining moments at home. 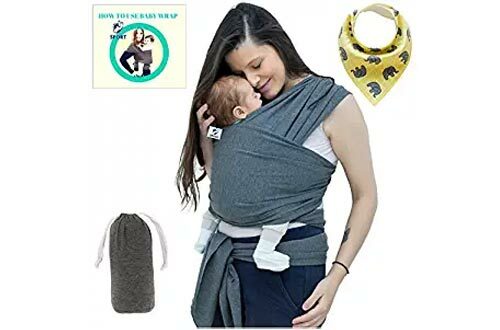 It is safe and non-toxic for the baby. The mat has been tested for lead phthalate, lead, and BPA. It has a thick plush form to offer exceptional comfort and prevent bruises on your small ones. Special protective clothing makes the mat spill resistant and easy to clean. 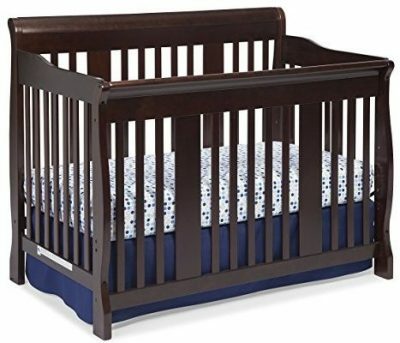 You can be sure your child is safe and having a great time on any of these baby mats. These are the best baby play mats on the market currently and best placed to offer you a great value for your money. Go right ahead and order from the list with confidence.